The Ultimate Comedy Play that has never been seen before, by the King of Comedy, Actor Siddharth Randeria. He is an Indian film actor and writer of Gujarati theater. Priyakant Upadhyay i.e Siddharth Randeria is a family man. He is seen striving hard to achieve a Bigger and Better Lifestyle. His Ambition keeps soaring. It’s One of the Best Plays from the Gujjubhai series. A Time of Great Laughter and Entertainment will be Awaiting you. Superhit Comedy Gujarati Play. 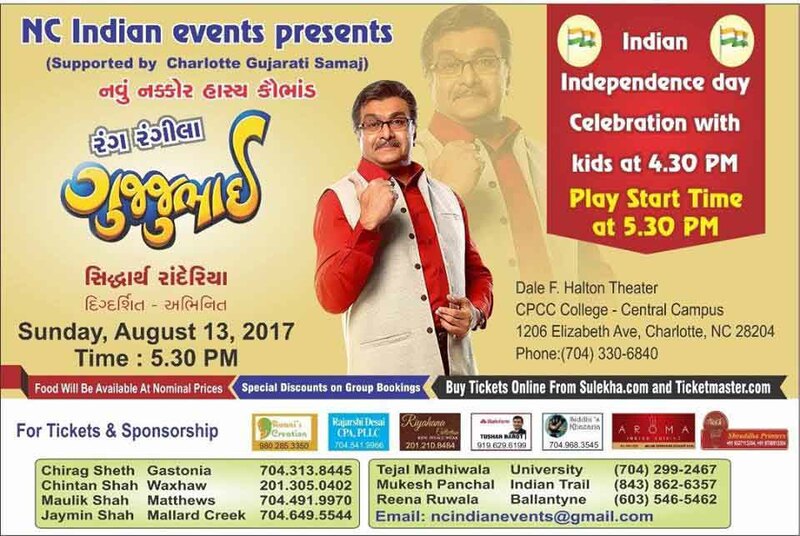 Book your Seats Now and Celebrate the INDIAN Independence Day with Gujjubhai.